I can always find a dozen plants in flower in the garden on Christmas Day but was surprised to find many of them already in flower this year. 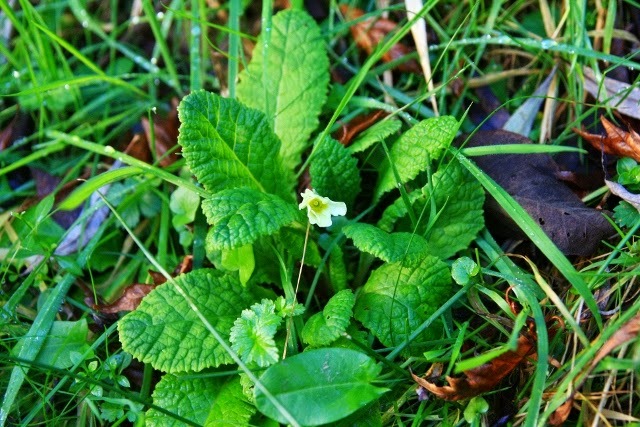 A very early primrose enjoying the warmth. Rhododendron Yellow Hammer, a hybrid rhododendron which delights throughout the year. A number of other rhododenrons also have a smattering of flower. 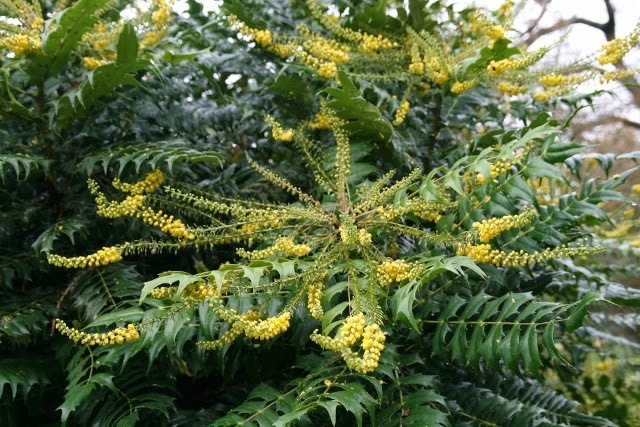 Mahonia japonica, the Japanese Mahonia, beautifully fragranced, an asset for the winter garden. 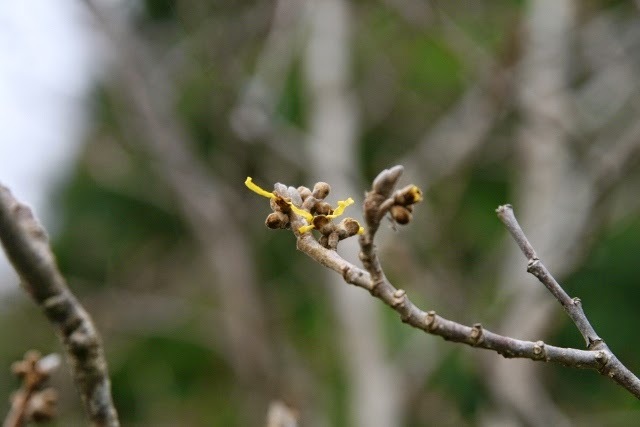 Hamamelis mollis, the chinese witch hazel, already showing colour. 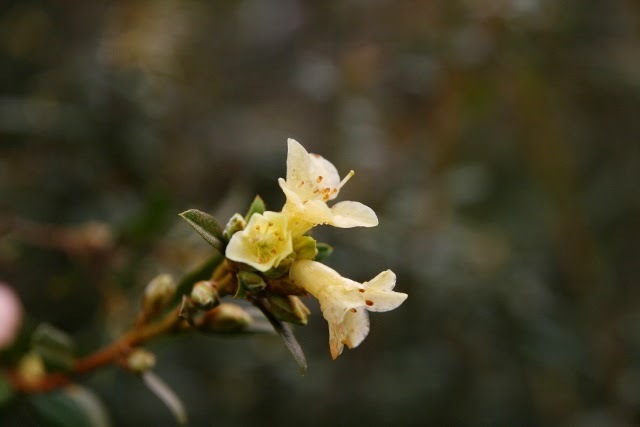 The flowers produce a glorious scent in the winter sunshine. I also found flower buds on Magnolia grandiflora Goliath.